Investigators at Cornell University recently performed an extensive study to evaluate genetic variations in mitochondrial DNA (mtDNA) among patients with autism spectrum disorder (ASD), including the mixture of different mtDNA molecules within the same individual—a genetic scenario called heteroplasmy—which resulted in new evidence of a link between mtDNA and ASD. “We evaluated mtDNA variation, including the mixture of different mtDNA molecules in the same individual (i.e., heteroplasmy), using whole-exome sequencing data from mother-proband-sibling trios from simplex families (n = 903) where only one child is affected by ASD,” the Cornell authors wrote. The researchers discovered a unique pattern of heteroplasmic mutations, where both mutant and normal mitochondrial DNA sequences exist in a single cell. Children with ASD had more than twice as many potentially harmful mutations compared to unaffected siblings and 1.5 times as many mutations that would alter the resulting protein. The researchers went on to show that these mutations can be inherited from the mother or as the result of spontaneous mutations during development. The scientists noted that the risk associated with these mutations is most pronounced in children with lower IQ and poor social behavior compared to their unaffected siblings. Carrying harmful mutations in mitochondrial DNA is also associated with increased risk of neurological and developmental problems among children with ASD. 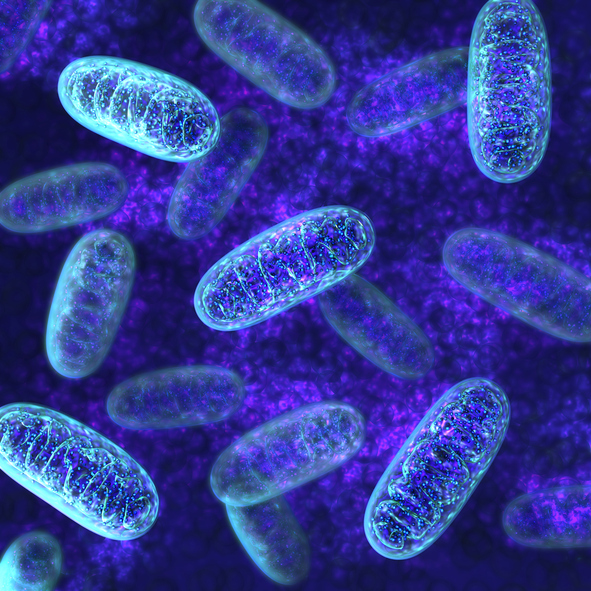 Mitochondria play a central role in metabolism, thus these findings may help explain the metabolic disorders commonly associated with ASD and other neurodevelopmental disorders. Evaluating mutations in the mitochondrial DNA of high-risk families could help improve the diagnosis and treatment of these diseases.